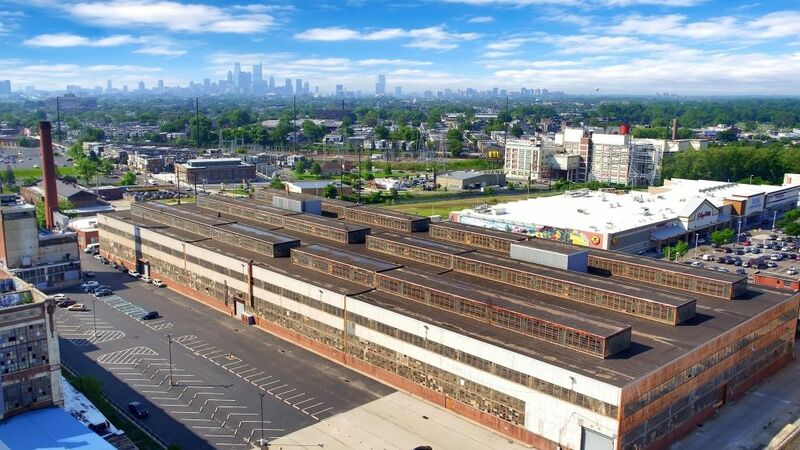 PHILADELPHIA – August 21, 2018 – The sprawling Budd Company site in the Tioga/East Falls section of Philadelphia where thousands of factory workers once produced parts for planes, trains and automobiles is going up for auction. What remains of the site has been divided into five parcels so that bidders can bid on any one of them or bundle more than one into a package bid. Someone may even bid on the entire five. The site will most likely serve a mix of uses, though. Some of the buildings on the property are ideal for both retail and residential spaces with courtyard floorplans, large windows and close proximity to shopping, transportation and Temple Health, which is located in a previously acquired converted Budd factory building. Another former Budd building has been turned into a Shop Rite. The parcel sizes range from .66 acres to 10.46. The square footage in the buildings ranges from 5,600 to 681,480. The neighborhood, just off Route 1 and & 76 has been rapidly improving and the redevelopment of this once bustling campus would accelerate that upward trajectory. The company has set an Auction Date of October 4 for bids to be submitted. Interested prospective bidders can tour the property before the auction by contacting Max Spann at 888-299-1438.